This construction company website is clean and open and gives clear metrics of the companies success, but more importantly their effectiveness. 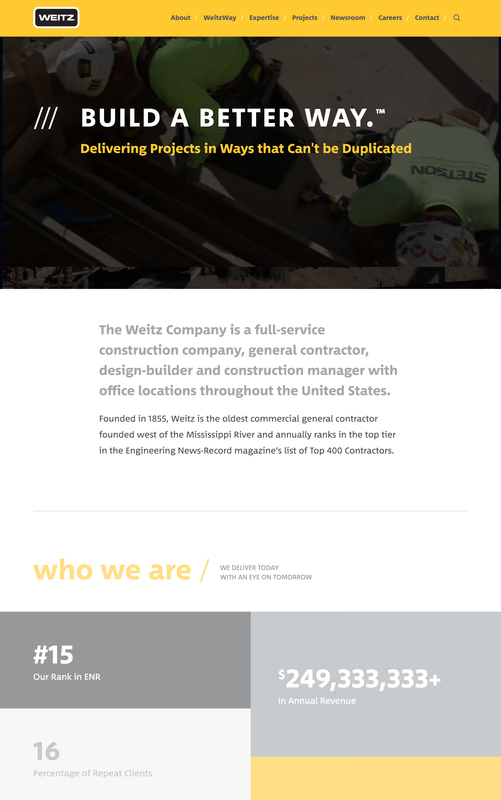 By presenting key numbers in a way that draws attention to them and showcasing expertise with case studies of projects, Weitz goes all in on their digital marketing efforts. This renovation/design focused realtor was a client of mine, and we did our best to take the absolute best of the best photographs they had from their interior decoration and design work and make them central to the site. Good photos and good fonts are half the battle when making a website feel high end. With a video background and a bold, simple brand – McCarthy’s website design has all the components of a commercial construction company website design that would make other companies take notice. At the end of the day it’s still another human looking at your website, and if you can’t persuade the individual to work with you, you’ll never get those coveted high-value commercial construction leads – and contracts. Treasured Spaces is a client of ours at Hook Agency and we not only branded them (with the demographic of the 35-55-year-old housewife in search of an upgrade or renovation), but we created this sharp site that gives a ton of information for people looking for niche residential home building or remodeling project. From the 700+ words of information provided about basement remodeling, or the visual outline of the process from design to execution – we facilitate the prospective customers learning process and give Google what it wants and helped get Treasured Spaces major increases in rankings for the services they offer. If you’re curious, learn more about how we help our clients get more search engine traffic and increase revenue from digital leads 200%+ here. 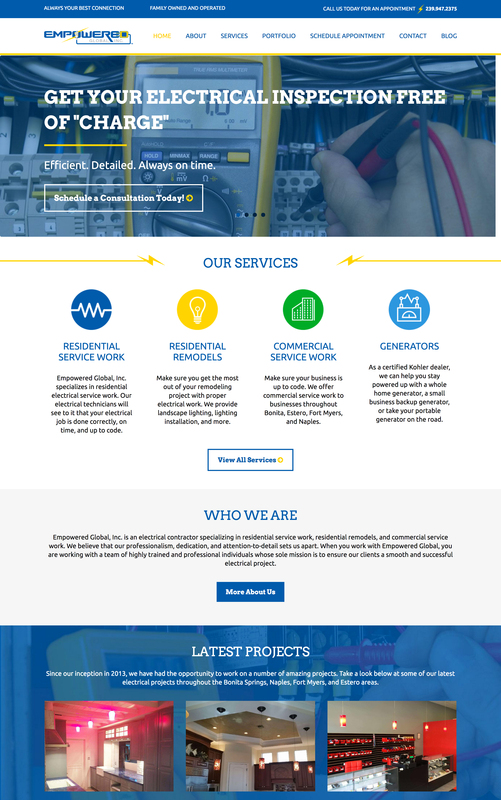 This has to be one of the cleanest websites I’ve found out there in construction company web design. Although it doesn’t have an extremely high amount of search engine traffic, it does have that trustworthiness through messaging that I like to see in a construction company website. Alpine Asphalt came to us with the simple request to modernize their asphalt company website design. I’ve had a lot of success helping contractors get their websites looking professional, so I jumped at the chance. In the end, we came out with a site that showcases their positive reviews all over Google, Facebook, and Angie’s List – and provided the right information to customers so that they could get started. Straub’s site might be a little dated – but overall it’s clean and simple. I like the individual pages dedicated to projects they have done, the ‘Quality assured since 1920’ tagline, and would just like to see more ‘trust factors’ like reviews, badges, awards, and testimonials to support the overall message of trustworthiness and sustainability. This site is currently in progress, and the filler text below shows where we are working with the business owner to get these pieces added. I’m extremely excited about the new look and how we might be able to show the professionalism and quality of work on their website that they previously haven’t. Just because you’re the best in town – doesn’t mean people can psychically find that out, they need proof, both with reviews and testimonials and other visual elements that speak to that quality and professionalism. These might be one of the weaker examples on this list, but I do like the testimonials and the page dedicated to their process on this site. The AT Home Builder website design could also have some more content built out so that Google and other search engines have more information about what they sell. I suggest at least 700 words for the home page and each of the sub services you offer. Once again this site is a little thin on the content, but in this case, the visual aesthetic is striking. A video background shows plans being drawn and then turns into a frame and then a fleshed out building. The process demonstration feels unique and interesting and captures your attention. From the photography to the icons that help communicate key points, Forensic Construction Consulting’s website is really a much higher caliber than most construction contractor websites and construction industry marketing web designs in general. Clean open visuals and high contrast between the text and the background make this site stand out among its peers. Empowered Global might be a touch less modern than some of the other highlighted sites – but the message is clear about what they do, the phone number stands out at the top right of the design, and examples of their work are front and center and easy to get to. No matter how stylish your website is, what’s most important is the ease of use, the clarity of your message, and nudging people in the direction of the action you want them to take on your site. 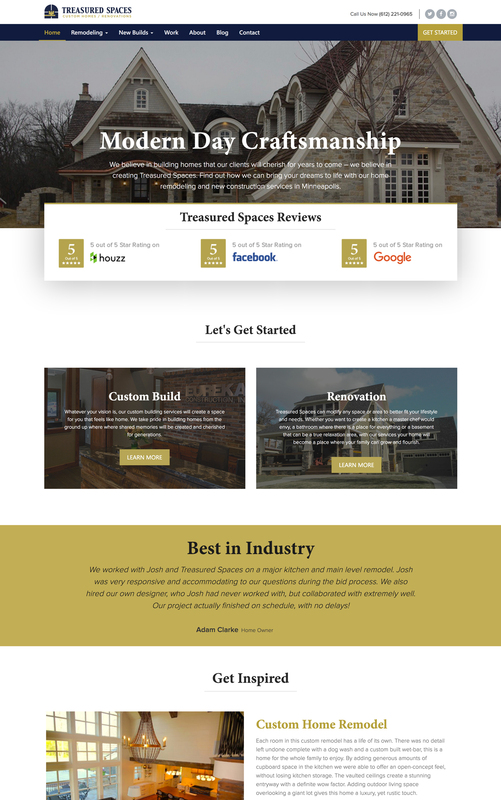 I hope you enjoyed these awesome construction company, and general contractor websites – and got some ideas about how you might implement some of the things they do well on your construction industry website design. If you need any help with your construction company marketing or website design – check out my work and get a free consultation. Thanks! 1 Comment on "General Contractor Websites (11 Incredible Examples)"